The British and French foreign ministers will not attend a special EU foreign ministers’ meeting on Sunday night to discuss Donald Trump’s shock US election victory. The “informal dinner” was called by the EU’s foreign policy chief Federica Mogherini last Wednesday. Boris Johnson’s absence follows his comments on Friday when Britain’s foreign secretary called on EU leaders to stop their ‘collective whinge-o-rama’ over the result. 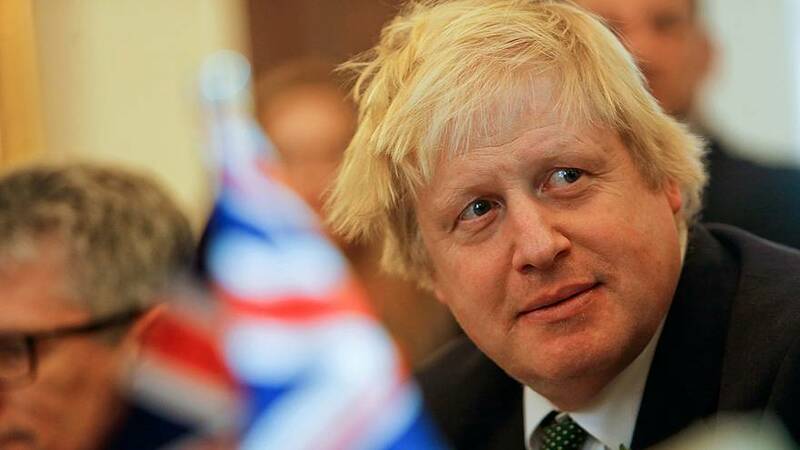 The British Foreign Office said Johnson would attend Monday’s scheduled EU meeting, but believed that Sunday’s extra reunion was not necessary because the US election timetable was long established. “An act of democracy has taken place, there is a transition period and we will work with the current and future administrations to ensure the best outcomes for Britain,” a spokesman said on Saturday. Confirming Jean-Marc Ayrault’s absence to AFP on Sunday, the French foreign ministry attributed it to “a very important meeting” scheduled in Paris on Monday morning with the UN’s next secretary-general Antonio Guterres. It’s thought both France and Britain will send senior diplomats to the meeting instead. As has happened with his stance on other matters such as Turkey, in government Boris Johnson has very much changed his tune on Donald Trump. As mayor of London, last December he called Trump “unfit” to be president and “stupefyingly ignorant” over his comments on Muslims. “I would invite him to come and see the whole of London and take him round the city, except that I wouldn’t want to expose London to any unnecessary risk to meeting Donald Trump,” Johnson said amid a storm of criticism over the presidential contender’s call to ban Muslims from entering America. Eleven months later, and Johnson’s altogether more diplomatic language after the election could not be in starker contrast. The French government has expressed concern over the US election outcome. President Hollande spoke of the need for “vigilance and frankness” and to challenge Trump’s campaign statements. In contrast, such concern has been absent from official British pronouncements. The foreign secretary’s reaction also underlines the UK government’s pragmatic stance. Both British and German leaders underlined values of democracy and freedom that their countries shared with the US. However, where Angela Merkel’s response also referred to matters such as human rights and climate change, Theresa May stressed shared values of enterprise. During the US presidential election campaign, British politicians were as shocked as others on the continent at Donald Trump’s violent campaign rhetoric, insults, peddling of lies and conspiracy theories, as well as the revelations of his mistreatment of women and allegations of sexual assault. But American voters had other priorities – and deep-rooted anger over the economy, jobs, the political establishment, globalisation, immigration and other issues saw the billionaire tycoon elected. Amid the new reality and no doubt with more than half an eye on the post-Brexit era, Britain is very much talking up its much-cited “special relationship” with the United States.